2,500 years ago, the peoples that the ancient Greeks knew as the Celts expressed their shared beliefs through similar abstract art styles which were used across northern Europe, from the Atlantic to the Black Sea. Objects decorated with sinuous organic forms were used for feasting, religious ceremonies, adornment and warfare. These designs were rich in hidden meanings, many which remain mysterious to us now. 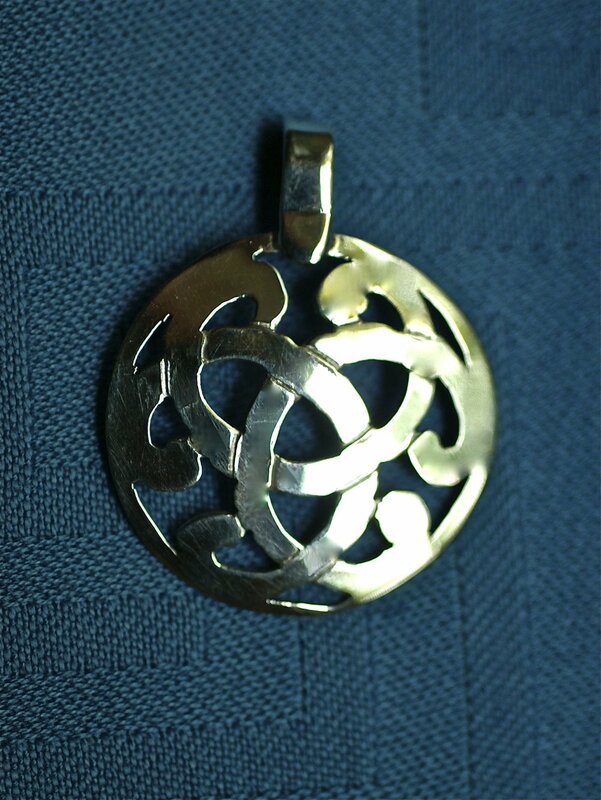 Later, the Celtic art style was reinvented in medieval Christian monasteries in Great Britain. The distinctive art appeared in manuscripts and stone crosses and had a blend of the old curves combined with new, intricate knotwork. 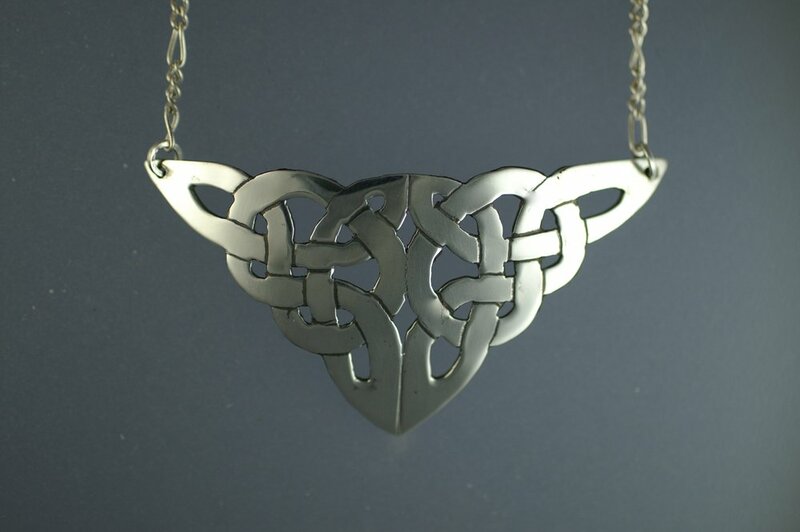 Today, there has been a creative revival of Celtic design and its knotwork appears in various art forms. 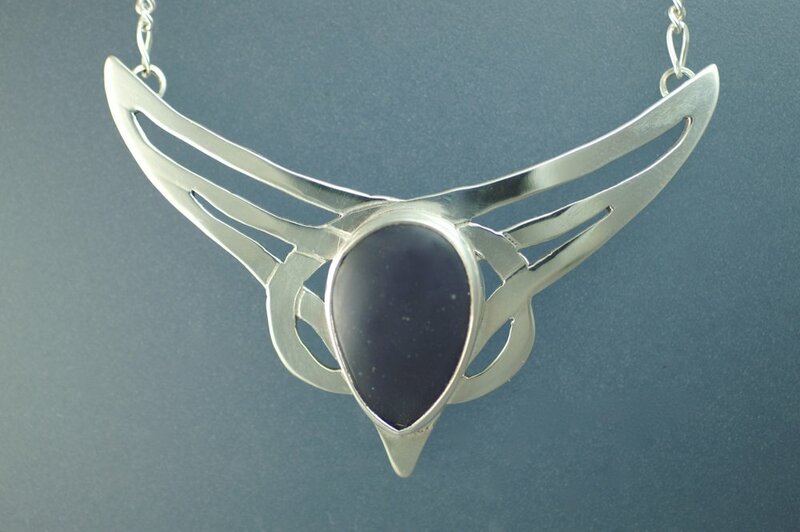 Each Celtic piece uses a traditional design and is handcrafted from a flat piece of .925 sterling silver. Using a jeweler's saw, the design is pierced and carved. Then, careful filing, sanding and etching refines it. Often, a stone becomes the highlight and focus. Finally, three stages of polishing provide a glistening finish. Finds in Scandinavia have shown that the Vikings had the technology to make chains of both fine and somewhat coarser metal wire. Chains were assembled from many pieces of wire, without the use of solder, into handsome and flexible jewelry. The Viking "knitting" used here is rather a looping technique used by the Vikings that preceded traditional knitting by centuries. Using fine sterling silver wire and a narrow rod or mandrel for maintaining correct shape, there is no knitting needle used at all. The technique consists of backstitching the wire in loops, first around a starter and then around earlier rows of stitches, producing something that resembles twisted knit stitches. It is time-consuming, zen-like process that brings solice to the weaver willing to find the rhythm and patience needed to create the beautiful art of the Viking Chain.